The reform, which pits tech giants like Google against publishers and content creators, will be put to MEPs next week before they make their final decision at a later date. Proposed changes to the law are designed to re-balance the relationship between internet platforms and those who create content – anything from music and memes to news and film. It seeks to give fairer pay to creators and forces tech firms to remove copyrighted content. 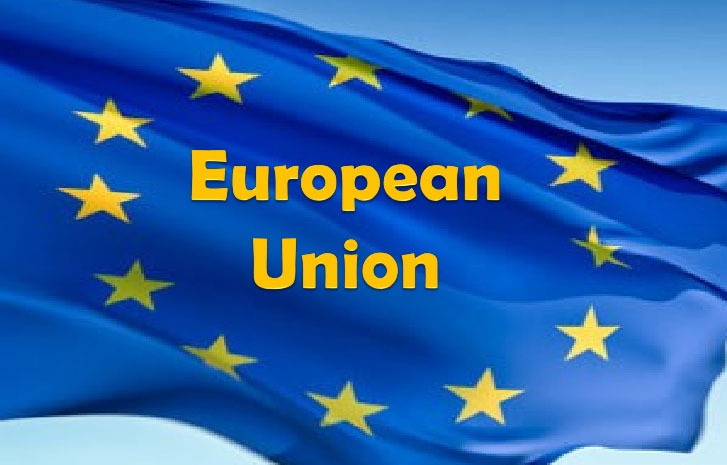 Following the announcement, Andrus Ansip, the European Commission’s vice president for the digital single market, said: “Glad to see EU countries once again finding a common voice on copyright reform. However, under the proposed rules, Google-owned YouTube would have to filter out copyrighted material and work with content makers to take down content uploaded by users. The video sharing platform has reportedly warned it could have to remove millions of videos to comply with the law. Two parts of the law – Article 11 and Article 13 – have been the most divisive. Some creators say Article 13 protects their work while critics fear it will ruin the internet. France and Germany resolved their disagreement over whether smaller platforms would have to take down copyrighted material. They agreed the platforms with less than 5 million annual users would not be forced to filter their content. YouTube has previously voiced concerns about Article 13, warning that viewers across the EU could lose access to videos. Some MEPs opposing the reforms say they stifle internet freedom. Google said they were “not carefully balanced” and that they would “harm the creative economy in Europe”. Among those concerned is The Premier League and Impala, an association that represents independent music companies. They have joined other critics in calling for the reforms to be scrapped. In an open letter, they said: “European creatives and rights-holders call on negotiators not to proceed with copyright directive on the basis of current proposals. “Despite our constant commitment in the last two years to finding a viable solution, and having proposed many positive alternatives, the text, as currently drafted and on the table, no longer meets these objectives, not only in respect of any one article, but as a whole. The proposed changes would also mean Google News would need to obtain licences with news outlets to show snippets attached to article links. Politicians will have to agree on how large the snippets would be and if headlines or pictures would be covered under the laws. In June last year, campaigners warned the reforms would lead to the banning of memes on the internet.